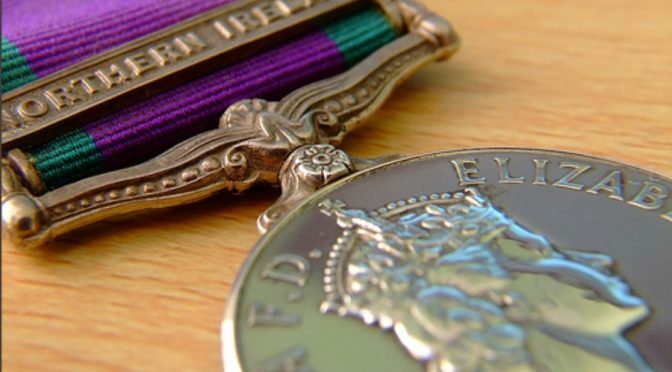 A number of people have recently shared a post which the Regiment put out in 2015 when one of our veterans who was named by the Saville Inquiry was interviewed under caution by the PSNI in NI. Are veterans to be prosecuted as a result of the Saville Report? A decision whether to proceed with an investigation with intent to prosecute those named in the Saville Inquiry has yet to be made. The Public Prosecutions Service was due to make a decision late this summer, but until now has not done so and we continue to wait. In the meantime, RHQ PARA have written to those involved offering welfare and pastoral support. If you are involved, or know someone who is involved, who hasn’t heard from us could you please let me know. Contact details below. 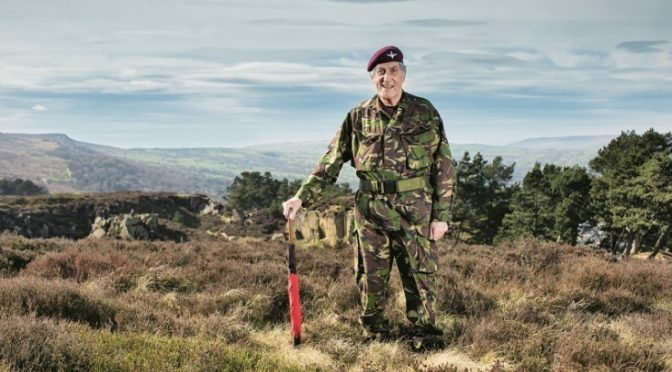 The Airborne Forces Security Fund is again making grants available to veterans to assist with the cost of their commemorative trips in 2019. Assistance is available for trips to The Rhine Crossing, Normandy and Arnhem in 2019. 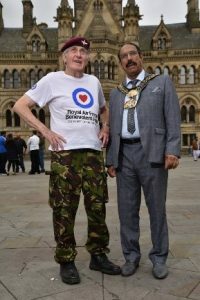 The grant per trip is £480 for a veteran, £480 for his wife or partner and £480 if a carer is needed. The maximum grant is therefore £1,440. 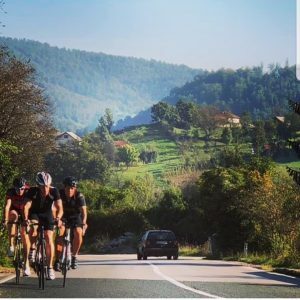 On 10 October, the Maroon Memorial team started their 1,100 mile cycle from Bosnia to the UK which they completed in just over a week. 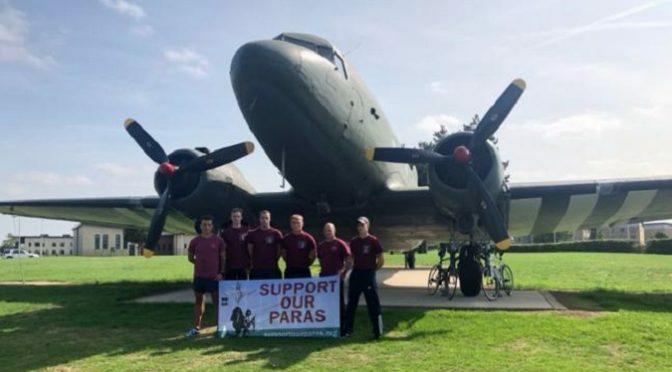 The team, made up of serving Paratroopers from 3 PARA and the 82nd Airborne Division, cycled the distance to raise money in memory of their colleague, LCpl Will Plant, who sadly passed away earlier this year. Their route saw them pass through 7 countries, over some of Europe’s most arduous terrain, including the Austrian Alps. This cross country challenge is a far cry from the challenges they usually face in the sky! 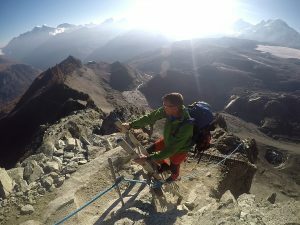 “From a child I’ve always wanted not only to climb but to be at high points, a slight addiction to altitude. Saying that, it’s the view you actually take in when you’ve accomplished this. The Matterhorn its self is a climbers dream, one of the deadliest mountains in the world, more dangerous than Everest: fact. When we all draw a mountain as kids we all draw the Matterhorn, it’s steep edges are sublime within itself. A magical mountain to look and gaze at. 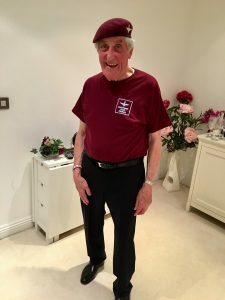 I hadn’t climbed for at least 8 years from when I left The Parachute Regiment; I had climbed all over the world including the Himalayas in India. I had been up in the Isle of Skye doing the Inn Pinn on Christmas day with a part Cuillin Ridge Traverse when I knew I had to get back into climbing. Using this and plenty of training in Glencoe, which I now call my back garden along with the Nevis range Ben Nevis North face routes, I had training in hand. At the same time I knew I could do this with a combined charity awareness but a solo attempt was something else. On arrival in Switzerland seeing the Matterhorn for the first time I knew I had a strong task ahead of me. Starting the climb at 6:00am making my way up near vertical walls, along with rock fall and a climber, whose ice axe had fallen from him just missing my head. I made a traverse on to the North face, which seems like madness but is actually easier climbing with axes and crampons, making a summit at 11:30am. Spending far to much time at the top I realised I had to start making my way down the Hornli Ridge. I had caught up with a French couple who were struggling to get down in time. Despite knowing helping them meant I would be delayed and would be coming down in darkness, I stopped to help them abseil to the solvey hut and a helicopter was called for their extraction. I continued down the mountain and then darkness hit me at 7:30pm. Now exhausted and having to set up at least 20 belay pitches in darkness was a task within itself. I finally reached the bottom wall at 9pm. 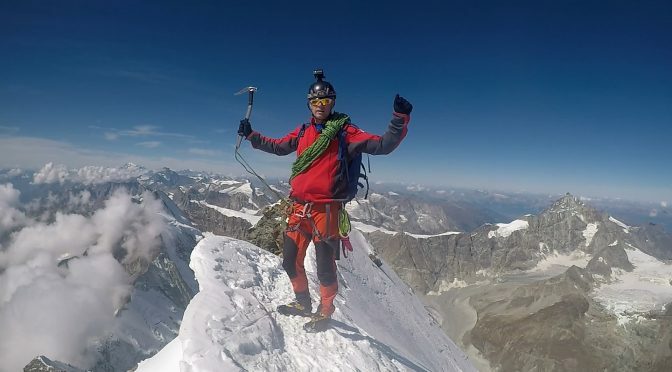 Cliff took on the challenge of the Matterhorn solo in September. You can still donate towards his fundraising page by clicking here.